It is always important to be a gracious guest, and during the holidays in particular the opportunity to be so becomes abundant. Sometimes it is hard to put your finger on just the right gift. Below are some of my favorites. They could be used as a thank you for a gracious host, for a housewarming gift, or just for yourself. Some might be fun for coworkers and teachers too. Some gifts are unique, funny, practical, others are just downright delicious. If you are interested in a particular item, there is an embedded link in each picture to make it convenient for you to click on the item and get in time for the holidays. 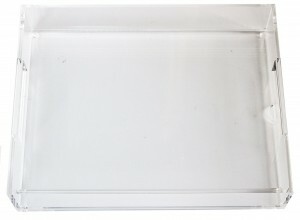 A minimalist modern twist on the typical serving tray in Lucite. It an be personalized as it has an insert slot for custom photos or paper. It even includes a guide and video training for 27 ways to personalize it with your name or images. Some thoughts I had were that you could insert a favorite photo of you with the host or a local landmark, decorative paper- think beautiful seasonal wrapping paper or origami paper, or the hostess’s address particularly if attending a new home. Who doesn’t love plants? While cut flowers are beautiful, they typically interrupt the hostess to get a vase and often don’t last but a few days. Try living plants instead. 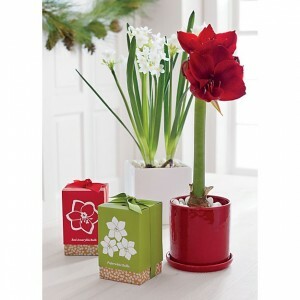 Below are forcing bulb kits from Crate and Barrel in red Amaryllis and the heady paperwhites we all love. As they are forced indoors, they don’t need to be confined to just the holidays. You can add a pot for an even more amazing gift. Bonsai are another great plant. I still have one I got as a housewarming gift 15 years ago! As a bonus it is very low maintenance. 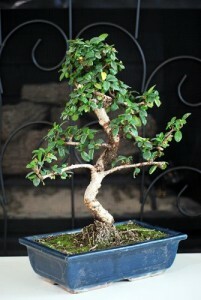 Below, bonsai from 9GreenBox which includes the ceramic pot. Another favorite of mine is rosemary. Below is a 1-gallon Rosemary Tree with a felt container and noel ornament topper. As a bonus the plant can be transplanted into the landscape if in growing zone, from Jackson & Perkins. Everyone appreciates good food. 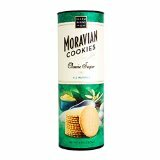 Some of the flavors I look forward to this time of year include Moravian sugar and ginger spice cookies from Salem Baking Company. They originated in our area, so as a treat you can see the bakers dressed in colonial period attire roll them out in paper thin sheets then cut and bake to perfection. 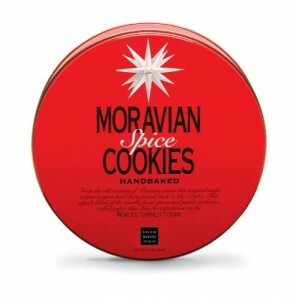 If you are not lucky enough to enjoy them warm our of a fire burning Moravian oven, you can buy them from Salem Baking. Peppermint bark is another holiday favorite. 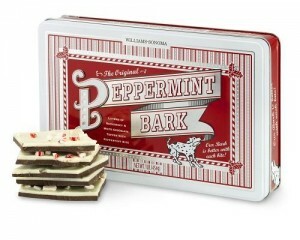 When we don’t have time to make our own, we love Williams-Sonoma’s The Original Peppermint Bark. 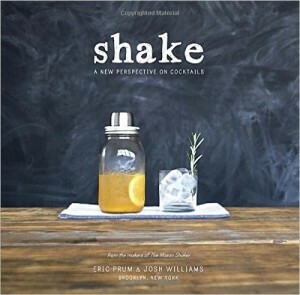 For many, the holidays are a time for cocktails and festivities. 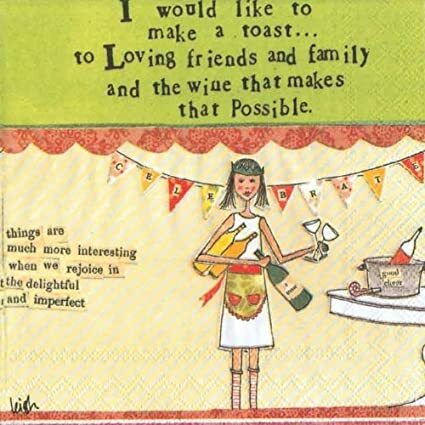 Get the party started with fun cocktail napkins with pithy sayings. Two I particularly enjoyed are below. 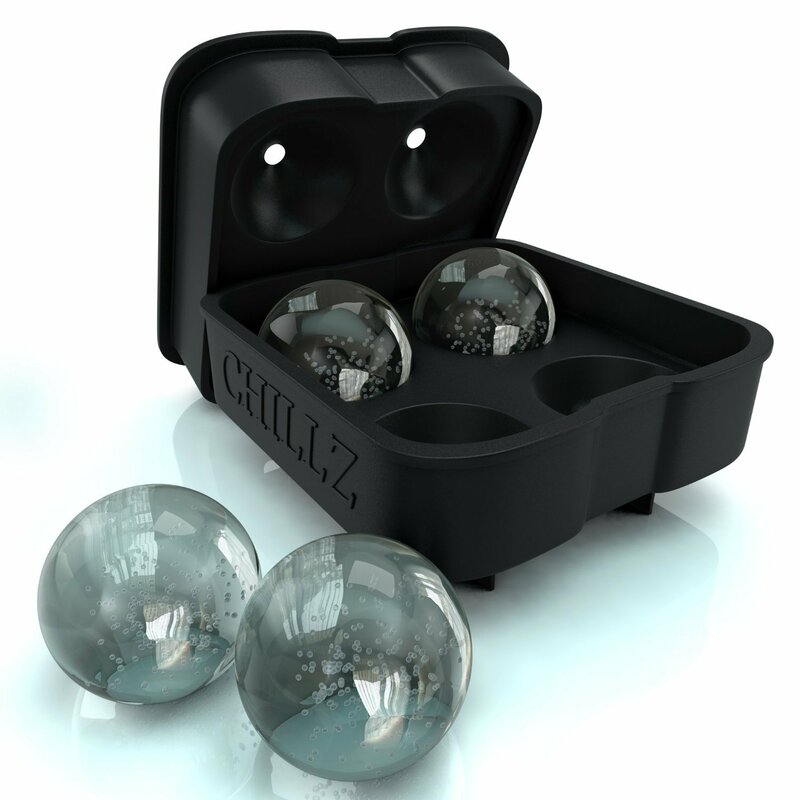 For drinks on the rocks, what about a gorgeous sphere ice cube set from Chillz. We have a pair from Zuko that the kids love, but the one below makes 4 at a time so is much more practical for the entertaining bar. No party is complete without the wine. As the other guests are sure to bring bottles of wine, why not take a wine bottle holder they are sure to enjoy for years. 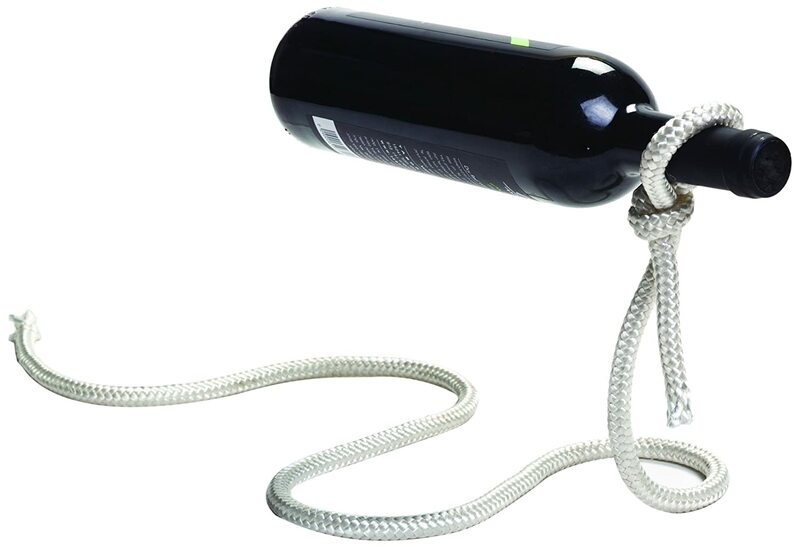 The Magic Lasso is a silver rope that gives the Illusion of a floating bottle. It is quite eye catching and a fun conversation piece. What bar is complete without nuts? 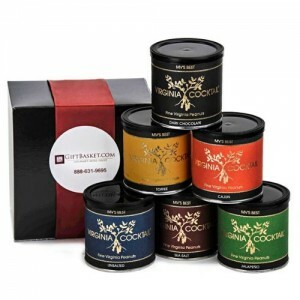 The Nut Mania gift package is an ideal gift for anyone on your list. It includes, four containers of MV’s Best, Virginia Cocktail Peanuts, flavors that may be included are; Cajun, Jalapeno, Sea Salt, Unsalted, Toffee or Chocolate. 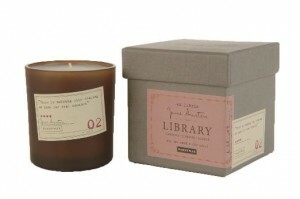 For the home below, candles from the Candles Library Collection Jan Austen Soy Wax Candle with my favorite flower scents Gardenia, Tuberose, and Jasmine from Paddywax. 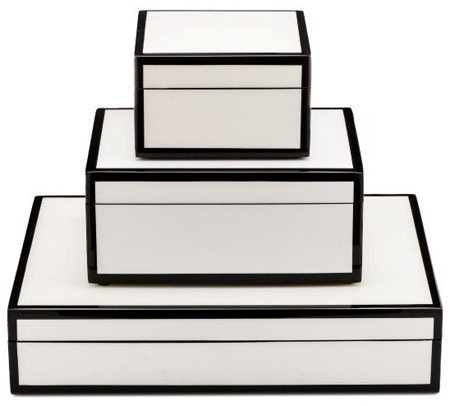 Functional and striking, the striped soaps below make a bold statement. 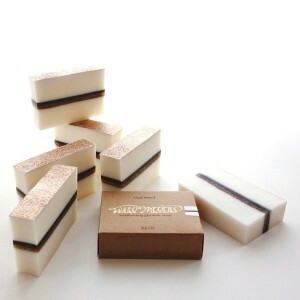 They are handmade in small batches in Portland, Maine with pure vegetable base—no parabens, no phthalates, no sodium laurel sulfate, no animal testing, no detergents, and no alcohol and are available in great scents such as Cedarwood & Vanilla, Grapefruit & Clementine, and Sea Air. You might just need to order a set for yourself as well! 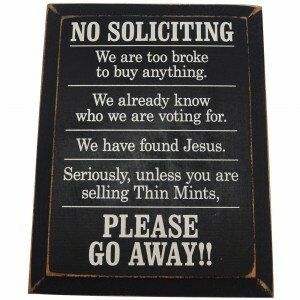 And for when all else fails, a sign for the door, or rather to the door. 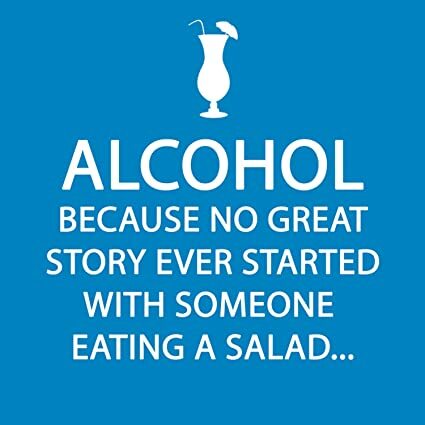 Hopefully you can stop fretting about finding ‘just the right gift’ now and enjoy the holiday party season! P.S. Gift for Him coming out tomorrow!